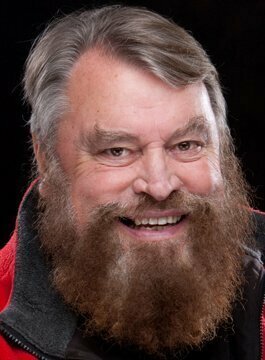 Brian Blessed is one of the UK’s best known and respected actors. Born in 1936, Brian was raised in Goldthorpe, a mining village in South Yorkshire. Following his training at the Bristol Old Vic, Brian has since carved a distinguished and varied career spanning all media. Baron Bomburst in Chitty Chitty Bang Bang at the London Palladium. Brian has appeared in both classical and contemporary film performances including Kenneth Branagh’s Henry V where he played ‘Exeter’ and ‘Hamlet’. Brian has also played ‘Boss Nass’ in George Lucas’ Star Wars and The Phantom Menace, ‘Clayton’ in Walt Disney’s Tarzan and of course, Prince Vultan in Flash Gordon. The Turquoise Man – Brian Blessed on Everest. With a great love of exploring and mountaineering and a desire to stand on ‘the top of the world’, Brian has been on three expeditions to Mount Everest. In 1993 he climbed the Southern side of Everest where he reached a height of 28,000 feet – the highest a man of his age has achieved without oxygen. In 1999, he became the oldest man to reach the North Magnetic Pole on foot. As a popular after-dinner speaker, Brian Blessed entertains guests with a multitude of amusing anecdotes from his distinguished and varied career.